In this respect, the work titled Interview, recently created in the Atheneum in Dijon, can be seen as an environment inhabited by the voice. In the first room, a record-player on the floor plays an interview with the sinner Kate Bush. 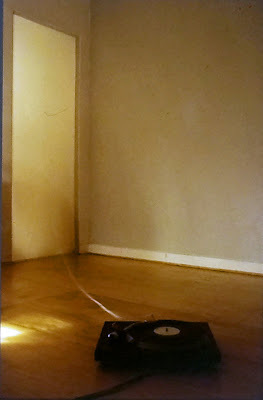 The arm of the record-player is connected by an elastic band which crosses the room to a canvas stretched across a door-frame, which leads to the second room. The first room is plunged in semi-darkness. The second, access to which is barred by the canvas, is lit, and ants as an echo chamber, from which the voice issues. The lighting stamps an enigmatic presence on the place, while the sheet of canvas, at once wall, obstacle, and perceptible surface, is moved by a sort of pulsation. 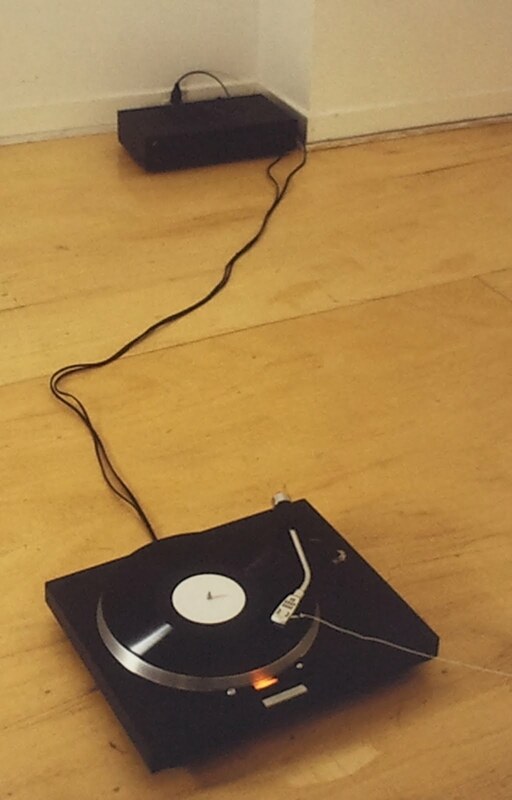 It records the movement of the turntable, and renders the movement of the sound waves visible. This installation condenses a set Of events and data : the voice, the vibration of the menbrane - like fabric, the concentric mechanism of the record, the eccentric mechanism of the sounds, the wave-like motion of the elastic band, and so on. It weaves a truly concrete, almost tactile experience. Bertrand Lamarche proposes an exploration of reality which can take on various configurations. As a last example, let us take his astonishing umbelliferous projects. This involves an itinerary, an area sown with giant grasses beneath which you can stroll, without being able to touch them, unless you want to risk being stung.